My goodness, this year has flown by! Thankfully there are still 2 months left to go before the end of the year, but for me, it’s now entering my “off” season. This means that I am doing very little in terms of designs. I will work on creating them, and knitting them, but no new testing will begin until the new year. 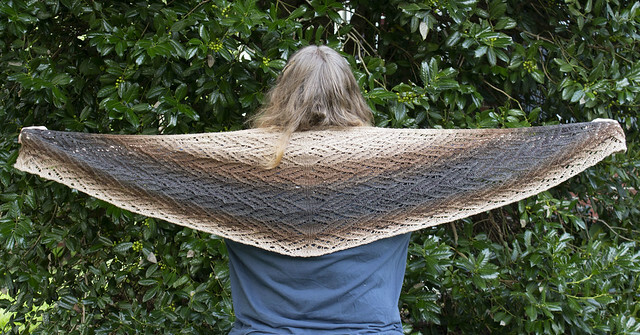 I do have a shawl in testing right now, though! More on that in a moment. With the holidays coming up, people are very busy with their own stuff. They are knitting gifts, making other gifts, getting ready with decorations, preparing for get togethers, and so on. They are way too busy to test knit things for people. And since my next test is going to be a sweater, I need more than one person to test it for me. So, first off, lets talk about that shawl. This is my Chocolate Cupcake Shawl. I have given testers an end date of November 30, because again, with the holidays and things coming up, I didn’t want people to feel rushed and crazy. So, that will get a release just before Christmas. It’s designed to use a fade yarn. I chose Freia in a sport weight, and went from light to dark in one ball, then dark to light in the next. It gave it a great fade throughout. The other nice part, is that the repeat is able to just go on and on, for as long as you want it to. That means it’s very customizable. The other thing I have been puttering on is a bullet journal. I’m very knew to this, only two weeks in. And it’s pretty epic. lol I don’t know where this has been all my life! I like to have things written down and accountable, but at the same time, I don’t like to be confined by a regular schedule. When I sit there and say Wednesday I will do X and Y, I get bummed when I can’t do X and Y, and then my agenda looks all scratched up. lol It’s also not good when you have no idea when an RA flare will hit. But, I have the bullet journal set up to write down actual scheduled items, but I also have a running to do list that I can mark complete regardless of when I do them. And if I don’t finish them? I put this little arrow next to it to say look at next week, and add it to the next to do list. It takes a lot of the stress away. And I get to putter on it and make doodles, which is always fun. One of the things in my bullet journal is weekly blog posts. So, I should be able to get caught up on everything soon. 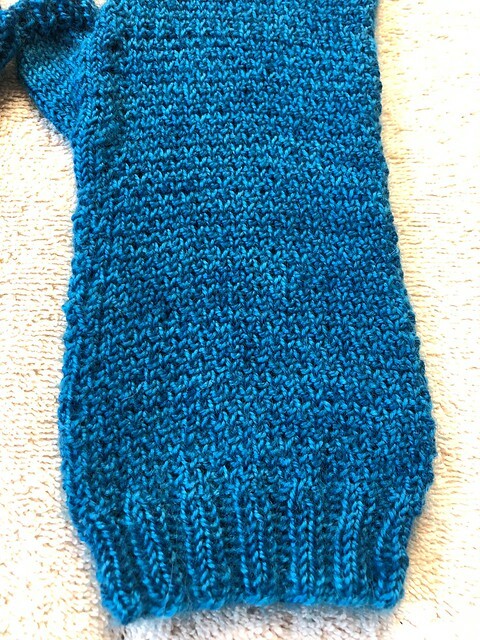 I did make some fingerless mittens that have been sent off to a friend to keep her fingers warm. 🙂 These are also my own design, and I’ll be putting these up for testing at some point. I’m not sure if I’ll wait until January, or go ahead and post them now. It could be a great Christmas knit, so I might end up putting them up and seeing how it goes. I know it breaks the winding down phase of the year, but they are finished on my end. I do have to get them tech edited, though, so that might be an expense to save for next year.